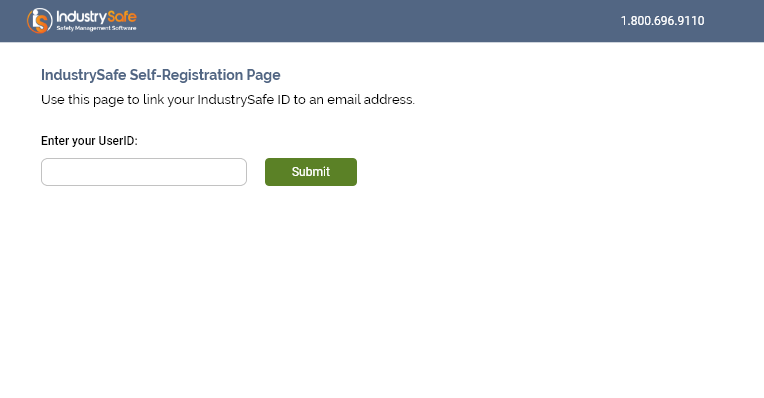 For Training Content Users who do not have a corporate email address, IndustrySafe provides a Self-Registration option to set a password using a personal email address (i.e. your.name@gmail.com). The process starts when a user account is created for a training content learner without an email address. At this point, the end user can navigate to the Self-Registration page and provide their User Name (UserID). Self-registration is not available for this site. Please contact your system administrator to set up your account. The user has access to training content (the Training Content Learner checkbox is checked on the user profile). Your account could not be located. Please contact your system administrator to set up your account. 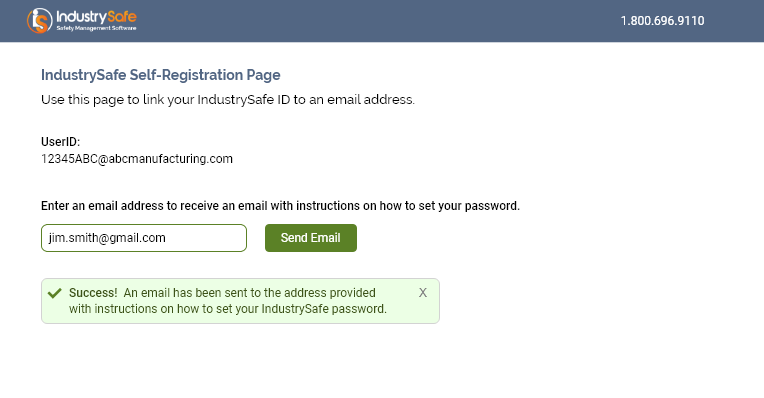 Your employee, Jim Smith, has self-registered the following email address with a user account in IndustrySafe.